Saturday and Sunday| April 27-28 | 9 a.m. to 5 p.m.
A Grand Parade led by a 70-foot dancing dragon opens our annual springtime festival of Chinese culture. 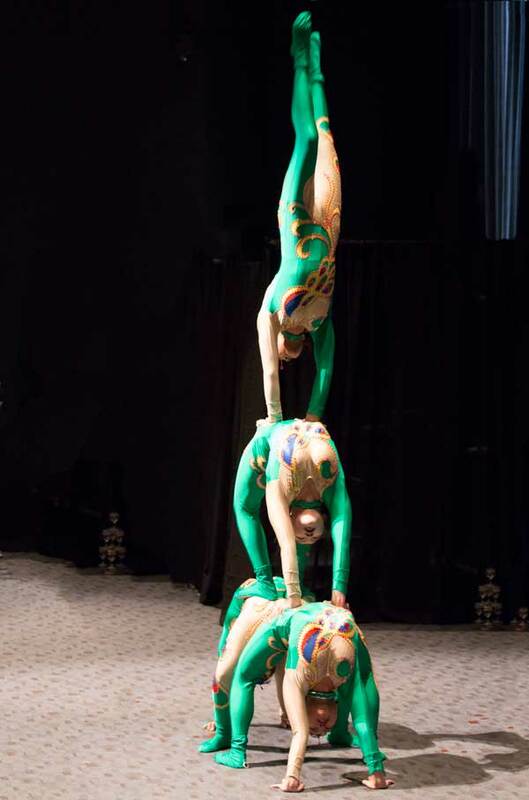 Chinese Culture Days festival features acrobatics, square dances, tea and cooking demonstrations, traditional artwork and authentic regional cuisine. Enjoy special activities in the Grigg Nanjing Friendship Chinese Garden. 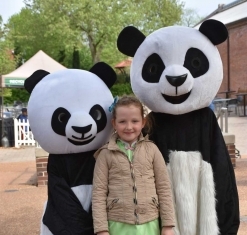 Since 1996, the Garden has collaborated with the Chinese Culture Education and Services Foundation to produce an event to celebrate Chinese culture. Hundreds of community volunteers work towards producing a weekend filled with colorful Chinese pageantry, art, music and dance, history and legends, and of course, wonderful food! Sponsored by Glory Light International Ltd. Thank you for helping support our mission. 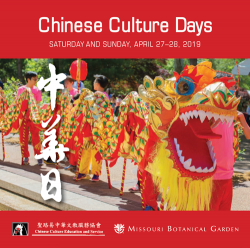 Chinese Culture Days Festival ticket sales helps to raise funds for our mission “To discover and share knowledge about plants and their environment in order to preserve and enrich life" here in Missouri and around the world. Nanjing Paper Cutting is one of the origins of paper cutting in China. Since the 1950s, Nanjing paper cutting products have been exported to many countries around the world. Combining the boldness typically seen in north China with the delicacy in south China, Nanjing paper cutting uses smooth lines and curves to show various patterns. It features a unique Nanjing style with distinct identities of decoration art in the context of traditional culture. Without a script, artists rely on the images in their mind, and use scissors as their sole tool to produce artworks through a series of non-stopping actions. In 2009, Nanjing paper cutting was inscribed in UNESCO "Intangible Cultural Heritage List". Zhang Jun is the fifth-generation inheritor of a National Intangible Cultural Heritage--Nanjing Zhang's paper cutting, and an industrial artist. He graduated from Nanjing University of the Arts. He started to learn paper cutting skills at 10. After nearly 20 year's learning and practice, he has grasped the Nanjing school's paper cutting skills, including the unique "Douxianghua" paper cutting techniques which are at the verge of extinction. He has won a lot of awards on international cultural exchange events held in the United States, Canada, Nigeria, France, Italy, Belarus and Ukraine.